How many times have you searched for the perfect little white dress? 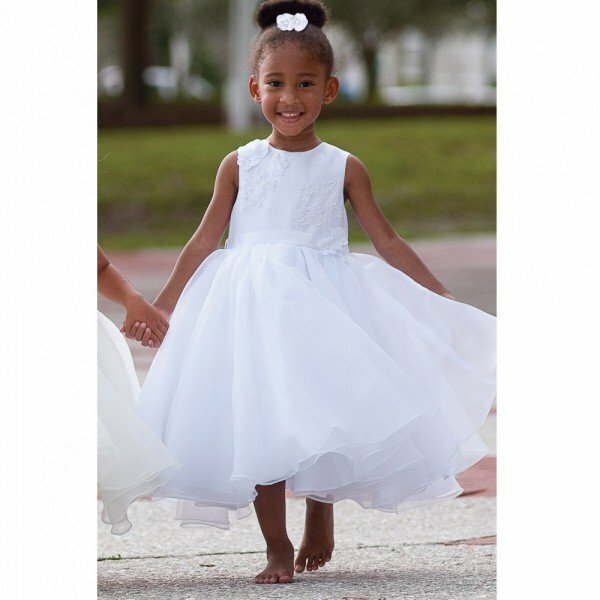 Sarah Louise has designed this simple yet elegant beautiful white dress with a sleeveless bodice and a skirt layered with soft tulle. What makes this dress even more gorgeous are the delicate appliqued flowers with pearl beads. Don't forget the perfect satin ribbon sash and large bow at the back. 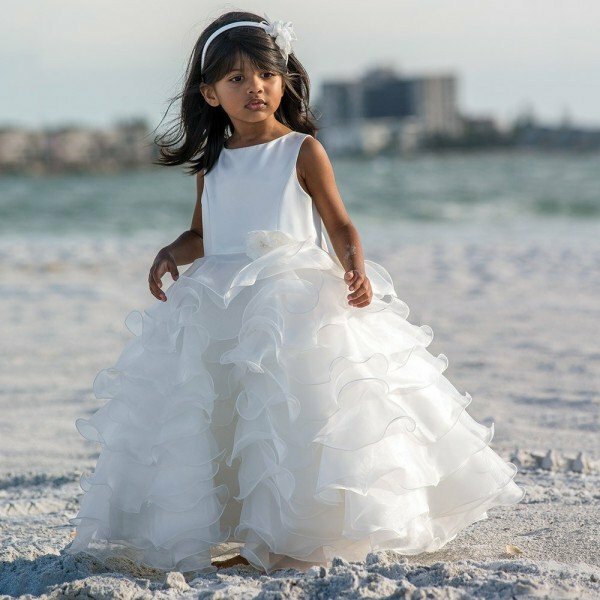 For that perfect hourglass full and feminine shape shape, the skirt has a gathered waist along with oodles of layers of net petticoat with a super soft silky lining. Best of all Sarah Louise prices are very reasonable. 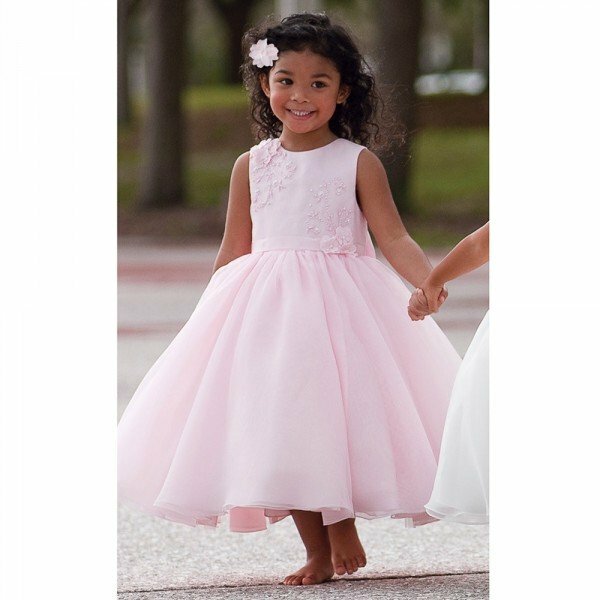 Perfect for a flower girl, special party and even a beauty pageant!